Review: The Billionaire’s Christmas Baby by Victoria James | Book Lovers Inc.
Jackson Pierce didn’t make his fortune entertaining every half-cocked idea, especially one involving diaper changes. Not even the cute brunette who links him to the baby in her arms can crack his icy heart. My Thoughts: You all know how much I love the holidays and holiday romances (Christmas Lover and Holiday Reading Challenge host here), and still with all my incredibly high expectations and positive prejudices this story managed to surpass them all and blow me away! Yes, Victoria James’ debut novel was that good and even more! The Billionaire’s Christmas Baby is a wonderfully emotional story, and despite the romance being featured centre stage, I would still say that there are so many other important facets to this story (adoption of a little girl, less than ideal childhoods, problems of the foster care system, estranged family members, warm-hearted quirky neighbours, and I could go on), that I am positive that even those readers, who although like to have some romance in their stories still prefer them to have a fully developed storyline, would be very happy with it. The chracters had complexity and were nuanced; they were both well developed, three-dimensional and interesting. Jackson was a beautifully scarred and grumpy hero, who although having a warm and generous, protective heart due to him having been hurt and disappointed before is quite the grouchy, standoffish grinch. And Hannah, despite having quite a lot in common with him when it comes to their childhood was his polar opposite: open, trusting, friendly. Optimistic, not only believing in happy endings happening but also in working for making them happen. I loved her sunny disposition, belief in her goals and her passion and dedication. She was an amazing heroine, one to look up to with respect. Victoria James is not afraid to include the darker parts of life by mentioning foster homes and less than ideal childhoods in a romance story, and although I very much enjoy my romances light and fluffy (since I read them for escapism), thanks to her masterful writing they didn’t weigh down the story and didn’t add gloom to the romantic ambiance, so have no worries that you’ll get a heart-wrenching angsty story. What you’ll get is a heart-squeezing, heart-warming, beautifully moving emotional story that will make you appreciate the magic of the holidays and love. Verdict: This story simply enchanted me. I devoured it in one sitting and even after having reached “The End”, its message and its characters stayed with me. Victoria James touched me with her words and made me part of her characters’ lives for a couple hours and I thank her for that. I thank her for the wonderful experience that The Billionaire’s Christmas Baby was and I will definitely keep my eyes open for more stories from her, and take note Dear Readers, you don’t want to miss out on this magical story. 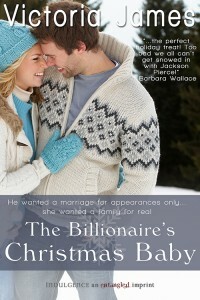 The Billionaire’s Christmas Baby is a beautiful romance and an emotional story on several levels. 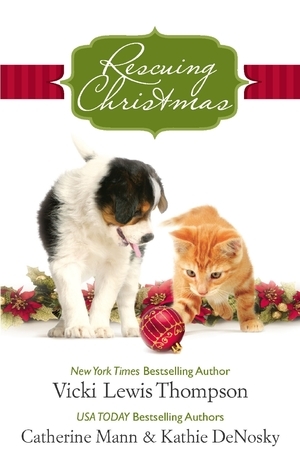 It is the perfect Christmas story that will leave you with a happy sigh, believing in love, goodness and happy endings. I give The Billionaire’s Christmas Baby 5 brightly shining stars! Great review! Makes me want to curl up and read it right now! Thanks! I thought I was done w/ holiday stories, but you just sold me on this one. Going to get it right now. Great review! Go Penelope, go and get it! *cue in cheerleader cry* 😉 I’m sure you’ll love it! 😀 Enjoy!